Practice, Final Exam and Application for Certification fee included in Exam Package. Covers equipment and fittings necessary for routing pipe from nozzle to rack to nozzle. 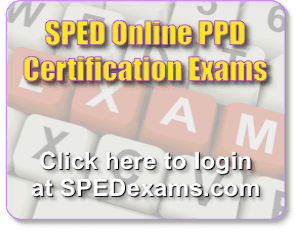 Detailed PPD Certification level requirements. 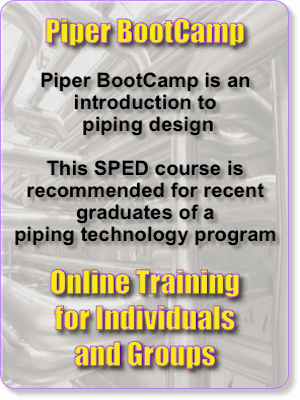 TOPICS: Introduction to Process Plant Design, Design phases & information, Pipe manufacturing and fabrication, Pipe assembly, Typical spool ISOs, Pipe and Weld Materials, Valve types and applications, Self-actuated valves, Valve selection and use, Pump types, Pump layout, Instrumentation, Pipe routing, Pipe racks, Pipe Layout specification, Pipe supports & hangers, Pressure vessels, introduction to Pipe Stress and B31.3, and CAD. 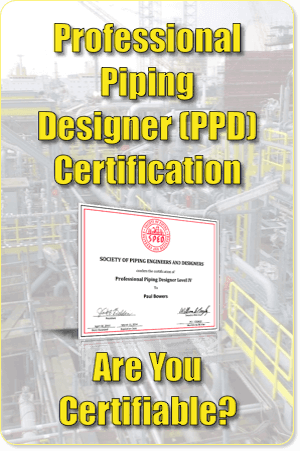 Prepares piping designers, leads and engineers with four to five or more years of experience.for the Level III or IV PPD Certification Exam (see detailed PPD Certification level requirements). Covers terminology and concepts needed for equipment layout, spacing and orientation within the process plant. 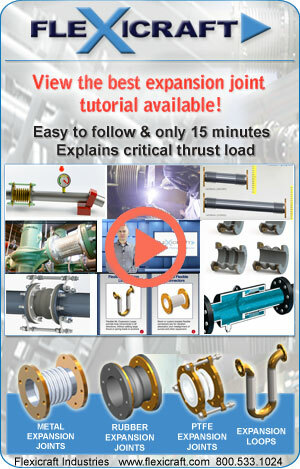 Also includes pipe routing to key equipment nozzles considering operations and maintenance. TOPICS: Introduction to Process plant design, Design phases and information, General layout considerations, Plant layout specification, Instrumentation, Pump layout, Compressors, Drums, Furnaces, Heat exchangers, Distillation towers, Reactors, Plant structors, Underground piping, Pipe racks, Introdution to Pipe stress and B31.3., Tanks and CAD. 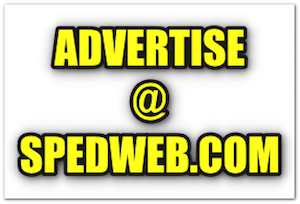 The SPED Board of Directors manages the business affairs of SPED. For details on the Board's responsibilities and operation, see the SPED Bylaws and Constitution. Excerpts from the Bylaws are listed below. 1) Board meetings are generally conducted every six weeks. 2) The board secretary emails notice of the next meeting one week prior to the meeting. 3) Board members may phone into the meetings. 4) Lunch is provided to those attending in person. 5) A toll-free number will be provided to any board member who must phone in to participate in the meeting. 6) Communication between board meetings is chiefly through emails and phone calls. 7) Any board member not present for three consecutive meetings, will be asked to resign from the board. 7) You must be a SPED Member to participate as a board member. The business, property and affairs of the Society shall be managed by the Board of Directors. The detailed management of the affairs of the Society shall be exercised by the President and Executive Director of the Society under the authority of the Board of Directors. The President, Executive Vice President, and Executive Director shall execute the policies and decisions of the Board, subject to the Constitution and Bylaws of the Society. All questions coming before the Society, its governing bodies and committees shall be decided by a majority of the votes cast except as otherwise provided by the Constitution and Bylaws. Each Member, other than Student Members, shall be entitled to one vote on all questions submitted to the membership of the Society. Treasurer who is elected by the Board of Directors and length of term shall be at their discretion. Executive Director term of office shall begin at the close of the annual meeting at which the officer’s election is announced and shall continue until a successor qualifies. Two Vice Presidents and at least two Directors shall be elected each year. President, Executive Vice President, Executive Director and Treasurer shall be elected at a board meeting at which a quorum of the Board of Directors is present. An Executive Committee of the Board of Directors shall consist of the President, Executive Vice President, Vice Presidents, Treasurer, and the Executive Director. Within the limitation set by the Board of Directors, the Executive Committee shall act for and with the authority of the Board of Directors between its regular meetings. There will be no limit to the number of terms any officer or director may serve. What is a plant layout design. Purpose and role. Principal Function. Data required by plant layout design. Basic of plant layout design. Development of layout philosophy. Advantages of good plant layout. Results of poor plant layout design. Effective use of space. Abbreviations and terminology encountered by the plant layout designer. Code and standards normally used by the plant layout designer. Constructability... What does it mean? 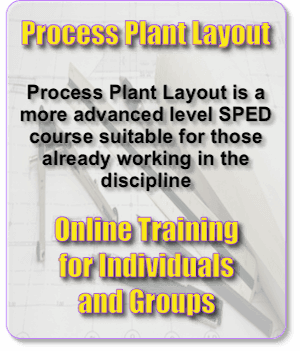 What is a plant layout specification. Modifications to layout specifications. Equipment-arrangement-elevation. Roads. Clearance. Platforms, ladders, stairs. Operational access. Maintenance requirements. Type. Drivers. Uses. Auxiliary equipment. Mounting Waste Heat. Nozzle orientations. Maintenance / Constructability. Lube oil system. Seal oil system. Surface condenses Location and elevation. Shelter. Maintenance vs. economics. Arrangement-with shelter-W / O shelter. Inter and after coolers. Critical compressor piping. Special supports. Auxiliary and interconnecting piping. Surface condenser piping. Type. Location. Support-Grade mounted-Structure mounted. Nozzle locations. Platform arrangements. Piping arrangements. Instrument arrangement. Maintenance. Special considerations. Definitions. Types. Shell and tube. Plate. Spiral. Double pipe. Air coolers. Location and support methods * Nozzle orientation. Access- Maintenance-Constructability. Piping. Basic parts and primary operation. Types of furnaces. Terminology. Burners. Air preheating. General arrangement. Auxiliary equipment. Breeching Stack. Piping layout-Circular-Box. Access. Constructability. Burner management. Waste heat recovery. Terminology. Type. Locations. NPSH Requirements. Piping. Maintenance. Constructability. Process operation. Design considerations. Location and support. Nozzle locations. Special consideration. Platforms. Piping. Type. Design Considerations. Elevation and support. Constructability. Maintenance. Tower internals. Nozzle elevation and orientation. Reboiler circuits. Platform arrangements. Instrumentation. Piping. Supports. Establishing need. Setting line locations. Piping flexibility. Instrument/Electrical considerations. Access. Piping. Structural considerations. Intersections. Design considerations. Stairs. Ladders. Bracing. Access. Constructability. Drill. Standards. Terminology. Type of systems. Materials of construction. Gravity flow systems. Pressure systems. Details. Composite. Fire protection. Piping layout considerations. Instrument Locations. Codes and Regulations. Terminology. Types of Tanks. Spill Containment. Dike Access. Sizing Tanks and Dikes. Tank Details. Tank Support. Piping Stress. Causes. Impacts. Layout solutions for weight, thermal and other stresses. Application. 3-D Solid Modeling. Layering. Planning. Integrated Modeling Systems. Systems Engineering and Instrument Design. Electronic Spool Sheets. CAD benefits summary.